Today saw the launch of a new showcase area from Swiss professional lighting gaint, Elinchrom. The company showcase the work of a handful of photographers from around the world to inspire their professional clients and showcase just what can be achieved from using their equipment. We are very proud indeed to announce that Elinchrom have chosen the work of Ambient Life Photographer Tim Wallace to now take up a position as their new professional in their famous Gallery. 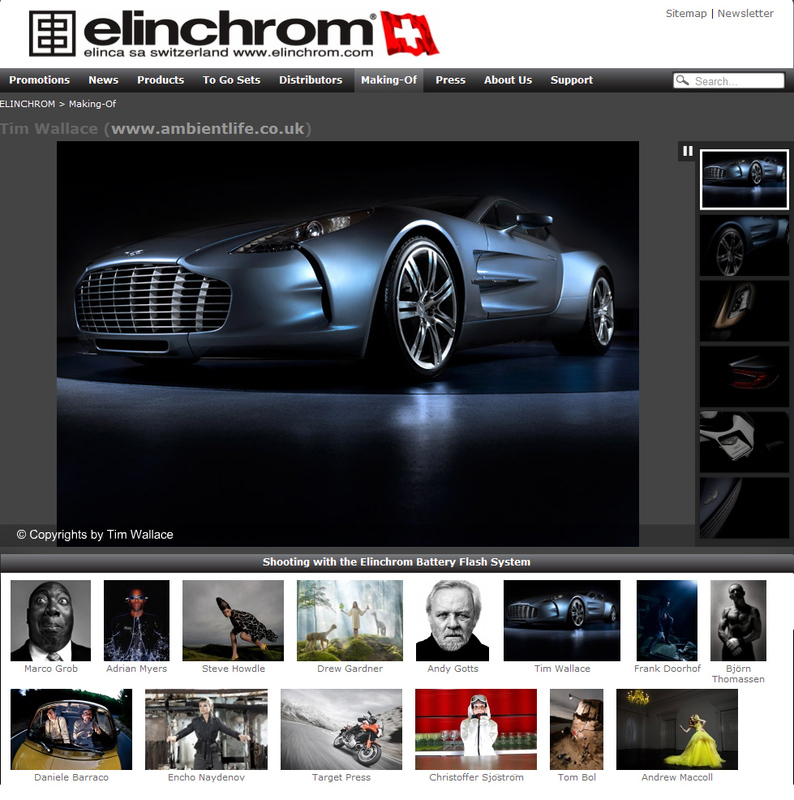 Today saw the launch of a new showcase area from Swiss professional lighting gaint, Elinchrom. The company showcase the work of a handful of photographers from around the world to inspire their professional clients and showcase just what can be achieved from using their equipment. We are very proud indeed to announce that Elinchrom have chosen the work of Ambient Life Photographer Tim Wallace to now take up a position as their new professional in their famous Gallery. Elinca is a hugely respected supplier of professional lighting equipment to many photographers across the globe and supply both field and studio equipment. Professionals chosen to have their work showcased include some very respected names in the industry such as Drew Gardner who works as a fashion photographer in the UK, Christoffer Sjostrom who is renowned for his Alpine ski photography, and Marco Grob who is known for his stunning portrait work with celebrities such as Sir Elton John, Lionel Richie, Pink, and Ronan Keating to name but a few. To visit the main Elinchrom site and also sample just some of the work that the Elinca gallery offers please click here.